The shoulder flashes are attributed to Craftsman Roy Bryson, Canadian Electrical Mechanical Engineers. 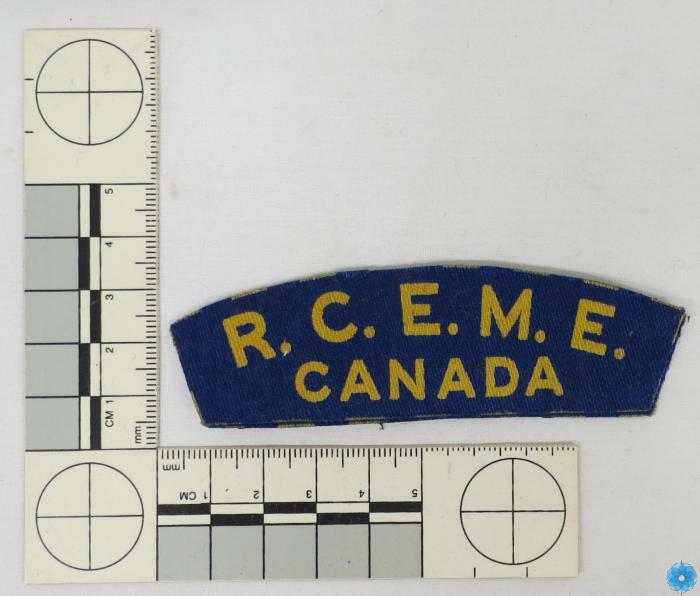 Description: Two Royal Canadian Electrical Mechanical Engineers canvas shoulder flashes reading R.C.E.M.E. CANADA, attributed to a named soldier.